If you watched the final play of the 49ers-Packers game, you’re probably wondering the same thing we are: How did the Packers’ Davon House not block the game-winning field goal? Did you see how it just sailed right between his arms before going through the uprights to give San Francisco a 23-20 victory? Well, here’s the thing: Even if he did block the kick, it wouldn’t have counted, because he was ruled offside. 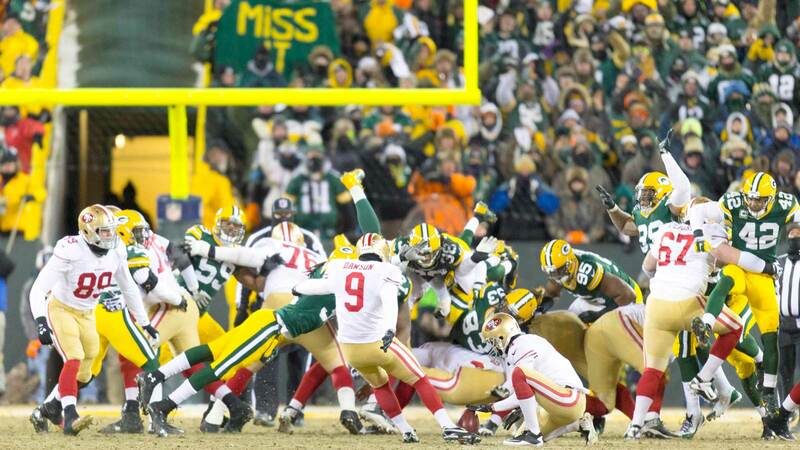 The 49ers would have had a second chance at it, but since the kick was good, the game was over. Here, see how close he did come to blocking it, even if it wouldn’t have counted.